Avery Emerson prides itself in having a wide society of groups in connection with its Law Firm. 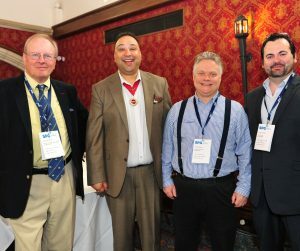 2016 saw the launch of a new one day event for The Sole Practitioners Group. 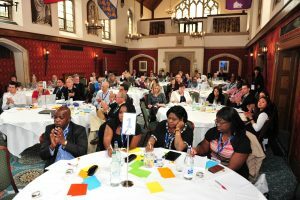 The occasion was organised with a view to enabling and giving a collective voice to the members and officers of SPG whereby the opportunity was given to meet and speak directly with influential people and members of organisation’s who are significant in shaping and assisting the future of the legal profession. The event commenced with a warm welcoming note form the Chairman at the time of the event, Avery Emerson’s principal, Sukhjit Ahluwalia, introducing the concept of the new event to the attendees. The event then went on to have informative seminars throughout the day. The first being on Cybercrime and Fraud which was led by Peter Wright, the Chair of the Law Society Technology & Law Reference Group and also a specialist in his own right running Digital Law UK Ltd dealing with all aspect of Cyber Law. which to address and Peter’s knowledge on the area provided an insight to the members of SPG of what the future may bring and how this can be overcome. 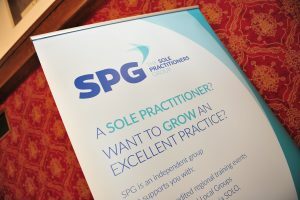 The Members were then afforded the opportunity to have a question and answer session with the SPG Executive Committee before then embarking on a Seminar led by David Gilmore of DG Legal which provides advice and assistance to law firms on an array of business management, and strategy notions, as well as many other areas, in relation to moving from traditional billing to fixed fees.